Sony Setiawan, an official in Indonesia's finance ministry, had meant to be on board the ill-fated flight JT610, a journey he and his colleagues caught on a weekly basis. But while his friends battled their way through Jakarta's daily congestion to make the flight, Sony found himself stuck on a toll road for hours. 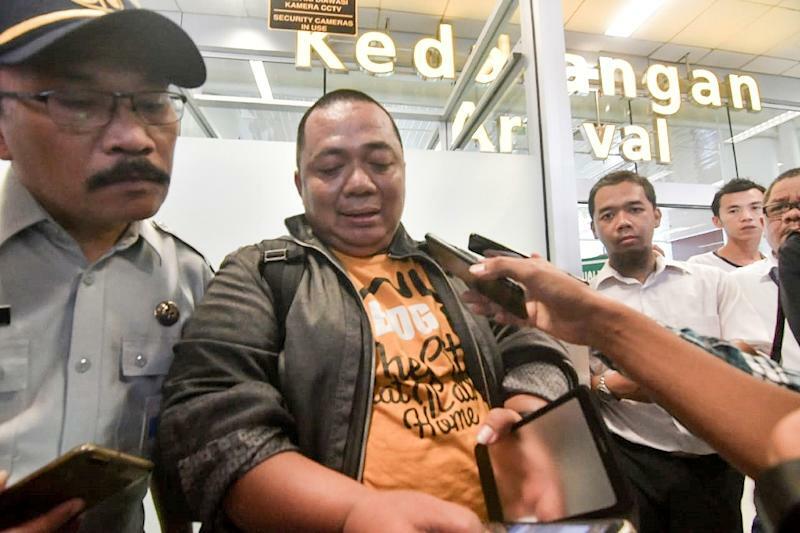 "I usually take (flight) JT610 -- my friends and I always take this plane," Setiawan told AFP. "I don't know why the traffic at the toll road was so bad. I usually arrive in Jakarta at 3am but this morning I arrived at the airport at 6:20 and I missed the flight." That gridlock likely saved Setiawan's life as officials warned it was unlikely anyone would have survived such a crash. "The first time I heard I cried," he said. "I know my friends were on that flight." Setiawan, who is from Bandung in West Java, said he managed to catch a second flight to Pangkal Pinang city and only learned of the crash once he landed safely. "My family was in shock and my mother cried, but I told them I was safe, so I just have to be grateful," he said. Some 189 people on board the plane when it vanished from radar just 13 minutes after taking off from the Indonesian capital, plunging into the Java Sea off Indonesia's most populous island. Indonesia's search and rescue agency said it was "likely" all passengers and crew were killed in the accident, as it found body parts of some victims.